Carpet Cleaning in Romford & Essex | Cleaning Bros Ltd.
Professional carpet cleaning in Romford, Essex & London. Fresher, cleaner and longer lasting carpets. Get the shine back into your beautiful marble floors. Enjoy fresher, cleaner & healthier soft furnishings with our professional upholstery cleaning services. Upholstery care & carpet cleaning in Romford from the most trusted team in Essex. Areas we cover include: Brentwood, Chigwell, Hornchurch, Romford, Upminster and surrounding areas. 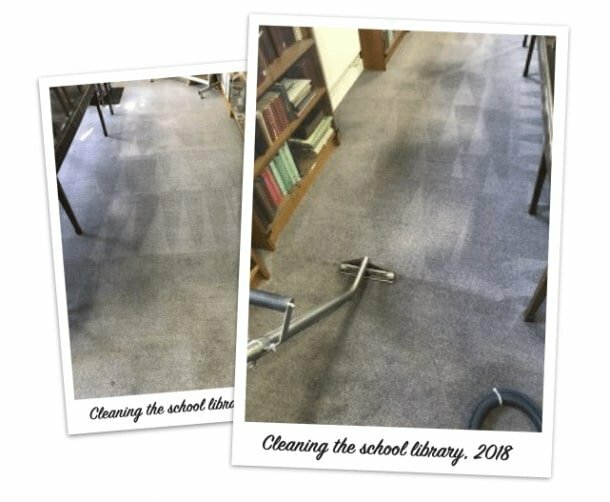 If your carpets, upholstery or flooring is looking a little worse for wear and you’re looking for a reliable, qualified and locally trusted company that provides professional upholstery cleaning, hard floor restoration or carpet cleaning in Romford, Essex & London, you came to the right place. Here at Cleaning Bros we are proud of the stunning quality of our work, for which we are known throughout London and Essex areas. Your carpets, soft furnishings and hard floors are in good hands with our specialist team. We’re accredited by The Approved Carpet Cleaning Association, SafeContractor, The NCCA and Check-a-Trade, giving you the assurance that when you choose us as your local cleaning company, you’re going to be provided with a first class service. As well as maintaining a strong reputation throughout Essex & London, we also provide a 100% Money Back Guarantee on all services, meaning you literally have nothing to lose if you’re choosing us for the first time and worried you won’t see the results you hoped for. Using step-by-step cleaning and restoration methods that we’ve developed over years of training and experience, we’re able to bring your carpets, floors and upholstery back to life, without the risk of damage. So, if you’re looking for a reliable and trusted cleaning company that provides upholstery care, hard floor restoration or carpet cleaning in Romford, Essex and London areas, get in touch with us now for a free quote! Accredited by The Approved Carpet Cleaning Association, SafeContractor, The NCCA and Check-a-Trade. Trusted and relied on by hundreds of homeowners and business owners throughout Romford, Essex & London areas. Fully qualified, extensively trained and highly experienced in carpet cleaning, upholstery cleaning & hard floor cleaning. Unlike other cleaning companies in Essex & London, we provide a 100% Money Back Guarantee on all services. Check out all of our latest special offers and discounts on carpet cleaning, upholstery cleaning & hard floor cleaning. Please feel free to browse our photo gallery of recent work we’ve done for homeowners and businesses in Romford, Essex and across London. We’re so confident that you’ll be happy with the results, we offer a 100% Money Back Guarantee on all of our cleaning services. A small selection of the specialist cleaning services we offer. Professional carpet cleaning using advanced equipment & techniques that leave you with a carpet that smells fresher, looks cleaners & lasts longer. We offer a deep cleaning and sealing service for your tiles & grout, whether they’re on the floor or wall. Efficient and effective commercial carpet cleaning services for all kinds of businesses and commercial environments. The team’s expertise extends beyond just carpet, wood and stone floors. We can safely and effectively care for all kind of vinyl flooring, such as Karndean and Amtico. The rug cleaning team at Cleaning Bros Ltd. have been trained to the highest industry standard in the art of rug cleaning and care by highly skilled specialists. Extending the life-span of your sofas and armchairs can be achieved through regular upholstery cleaning – something Cleaning Bros specialise in. Professional marble floor cleaning, polishing & restoration using some of the best equipment available on the market. If your leather furniture has lost its texture or doesn’t look the way it used to, we can help restore it back to its original beauty. Our vast experience and expertise in cleaning and diamond grinding enables us to offer you highly effective service that will bring your terrazzo floor back to its former glory. Caring properly for your delicate curtains requires a professional touch, one that our specialists have adopted and mastered well over the years. High quality cleaning, sealing and restoration service for all types of natural stone flooring, tiles and worktops. Find out how we can bring your stone floors back to life. Slate floor cleaning, sealing and restoration using the latest, most advanced chemicals and machinery. A step-by-step Marmoleum floor cleaning & restoration process that will breathe a new lease of life into your Marmoleum floors. Using safe, non-toxic techniques and equipment, our team can test for micro pests such as dust mites and eliminate any unwanted guests from your carpets and soft furnishings. We can bring your terracotta floors back to life using a cleaning and restoration system that we’ve developed over the years. Provides a supreme cleaning of your carpet getting right down to the base of it and removing all dust, grit, contaminants and various other pollutants. The cleaning process removes dust mites, bacteria and viruses as standard. Our most popular package by far. The same as our Deep Clean Service, but following the thorough cleaning, we will apply Scotchguard Stain Protector, or equivalent, that repels all water- and oil-based liquids, as well as reducing wear and tear. This treatment also makes subsequent cleans easier. The Scotchguard Protector simply prevents those little disasters in life from leaving marks, giving you peace of mind. This service is particularly suitable for living areas as well as halls and stairs because of the amount of foot traffic they can get. With this package you receive the same level of professional carpet cleaning as with the Deep Clean Service, but on top of that we will apply PROmite carpet stain protector with added Dust Mite Eliminator. This treatment package will protect your carpets and soft furnishings just like the peace of mind Service does. However, it represents a great additional benefit to asthma and allergy sufferers reducing the effects of their condition by creating a Dust Mite Free environment for 12-18 months. Click more information below to read more about this treatment. The Total Care Maintenance Plan is designed to keep your carpets and soft furnishings fresh and healthy all year round. It is perfectly suitable to young families with kids or families with pets, or simply people who wants to enjoy nice looking carpets and upholstery. This package helps you save money by extending the lifespan of the items in the programme thus avoiding the need for premature replacement. It also provides a healthy home environment for you and your family. Click more information below to read more about this package.